"Sir! 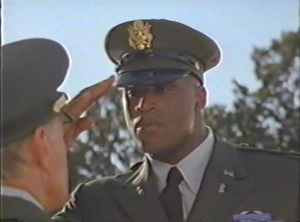 Shaq reporting for duty, sir!" In 1993, the death of Superman caused an entire generation who’d grown weary of the character’s cinematic incarnations to perk up and start paying attention to comics. It’s the sad fact of our sad age that cynical marketing ploys (like killing off your flagship character just so you can bring him back to life) work more often than they fail. It certainly got me on board, and by the time Superman’s reappearence was all-but-upon-us I was loyally begging my parents for all four (at the time) of DC Comics’ Superman titles.